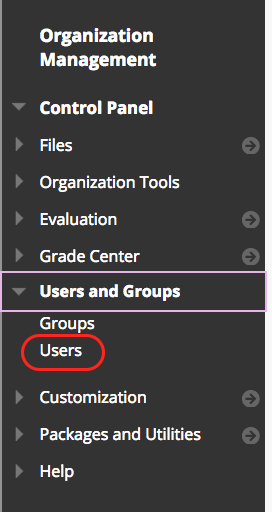 Unlike academic courses in Blackboard, organizations allow faculty (or Organization Leaders) to add and remove users. The following steps describe how to do that. 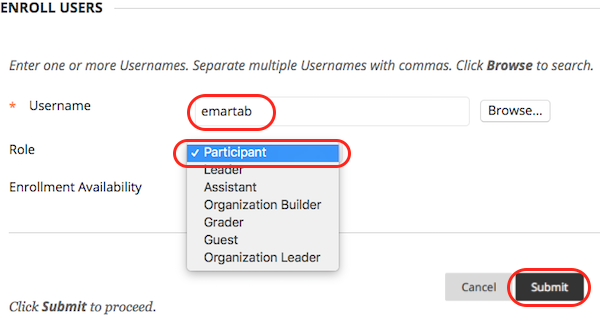 NOTE: Only "Organization Leaders" can add and remove users in an Organization. If you are not an Organization Leader, you will not see all of the screens shown below. To request that your role be changed, reach out to the Organization Leader or, if one does not exist, send a request to bbhelp@siue.edu. Go to the organization and click Users and Groups from the Control Panel. 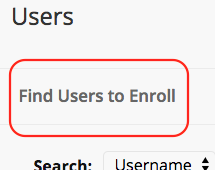 Click the Find Users to Enroll button near the top of the screen. The e-ID his is the first part of the SIUE email address: e.g. "jsmith"
You will get a confirmation at the top of the screen when the user is successfully added. If you receive an error, double check that the user's e-ID is correct. On the Users page, find the person you want to remove. Click the circular icon to the right of the user's name. 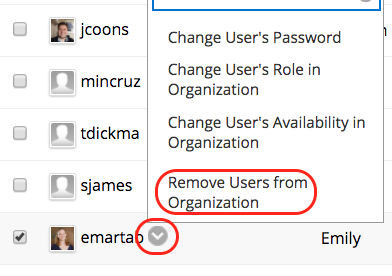 From the drop-down menu, choose Remove Users from the Organization. If you want to change a user's role (e.g. change a Participant to a Leader), follow the same steps but choose Change User's Availability in Organization from the drop-down menu. If you have a batch of users to add to the Organization, please send a message to the Blackboard administrator at bbhelp@siue.edu. Include an Excel file with the users' names, e-IDs, and desired roles in the organization.